Stephanie Veloff Histed | ARIAT Jumping with the Stars! Team Timeless Win With Perfect 10s! Robin and George with the line-up of celebrity riders and trainers. Suzy Favor Hamilton beams after her ride. earning perfect 10s! Her trainer, Stephanie Veloff Histed from Timeless Farm, called her a prodigy as she brimmed with pride. After the text votes, which counted for 30%, were tallied with the judges scores, counting for 70%, Leigh and Stephanie came out on top to win the trophy, Arc de Triomphe bridle and bragging rights. All the other riders and trainers received medals for their hard work, including Connie Kellie from the Connie and Fish Show on Z104 and 97.3 The Brew, who had to drop out due to a non-riding related injury and her trainer Kate Bomgaars Reuter from Newstone Farm. Olympic Gold Medalist Speedskater, Casey FitzRandolph and and his trainer, Carrie Zander from PrairieSun Stables had also dropped out due to Casey’s knee surgery, but were on hand to say hello to the crowd and help with the award ceremony. ARIAT Jumping with the Stars! distinguished judges panel included jumper judge, horse show manager and announcer, Oliver Kennedy, University of Wisconsin Equestrian Team Coach and Hunter/Jumper trainer, Mark Aplin, and well-known Hunter/Jumper trainer, Ginny Dvorak. Leigh Mills and Stand by Me. The accomplished trio of hosts who led the event were Today’s TMJ4 Milwaukee Anchor and Reporter, George Mallet riding Dallas, generously donated for his use by Kathleen Caya and Cheska Farm, veteran radio personality and horse show announcer, Robin Ellis, and Tammy Lee from 96.3 Star Country. During the award presentation Kylee Carolfi Malik introduced Jill Vance and her son, and Kade Vance. Kade’s life was saved at American Family Children’s Hospital in 2004 after injuries sustained in a serious car accident. Kade gave a touching “Thank You” to the participants and presented the trophy to Leigh Mills. There’s still time to donate online on your favorite teams behalf to American Family Children’s Hospital! You have until Friday the April 23rd at 5:00 pm. To donate click here. George, Leigh, Stephanie and Kidd. John and Bailey on the same wavelength! Casey FitzRandolph, Carrie Zander, Kate Bomgaars Reuter and Connie Kellie. been hosting the successful “Timeless Farm Series” of ten horse shows per year since the first annual “Fall Cool Down” schooling show in October of 2000. 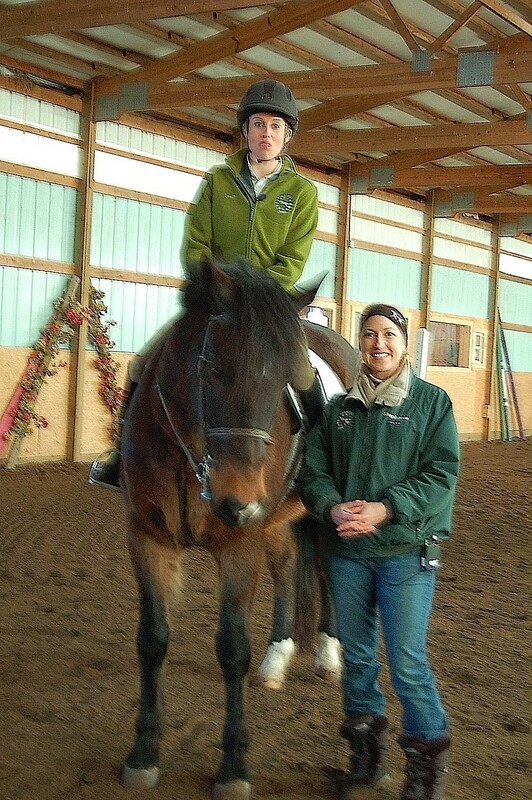 Throughout the past decade, Stephanie has created an opportunity for beginner riders, seasoned veterans, and horses “green” and “made” to gain invaluable experience whether riding for pleasure or aspiring to national levels of competition . Stephanie’s own group of riders and horses have excelled. One of her key training philosophies is “Not only train the horse but train the rider to ride and show their own horse”, her students have acquired countless championships and year-end awards at the largest venues in the Midwest from Baby Green Hunters to the High Amateur Owner Jumpers. Most notably, having coached her sister Julie Veloff-Helmer on her 1999 home-bred Warmblood, “Time Honored”, to the Zone 6 Championship in the High Amateur Adult Jumpers in 2007, and then going on to ribbon at the Harrisburg, Pennsylvania, Finals that same year. In 2009, Stephanie coached Julie and “Time Honored” in the Low and High Amateur Owner Jumpers with much success. Stephanie started riding in the 1970’s. In 1985, her family bought their first horse of many. “Sparky” was the 36 inch tall, $13 pony that lived in the back yard. Stephanie went on to work with top Dressage riders and trainers and also competed to the mid-levels of Dressage and Eventing. Focusing in on the Hunter/Jumper ring in the late 80’s, Stephanie won many Championships and Year-End awards. She also organized and produced her first horse show in 1992. With her green Thoroughbred, “Somewhere In Time”, Stephanie was Grand Champion of the entire Midwest Winter Series at Ledges in the High Adult Amateur Jumper in 1996. She went on to win Zone 6 Champion that year as well as Zone 6 Grand Champion in 1997. In 1998, Stephanie and “Somewhere In Time” embarked on the Amateur Owner Jumper Division with much success and championships. 1998 also brought new excitement when, while planning her wedding to Robin, Stephanie decided to take a break from showing to breed Somewhere In Time to Corrado USA by the famous “C” line of Holsteiners. “Coruscation” was born in 1999. As a professional, Stephanie brought “Somewhere In Time” back from maternity leave to compete at the highest levels of show jumping in the area. 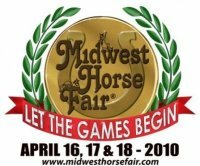 From the Modifieds at Ledges in 2000 to the Open Jumpers at Lamplight in 2001 and 2002, also qualifying to compete at the Capital Challenge horse show in Washington D.C. Unfortunately, after setting their sights on the Grand Prix campaign trail, “Somewhere In Time” sustained an eye injury at a show that forced her early retirement into maternity in 2002. As karma would have it, horse and human baby arrivals coincided. Having had to take time to regain the athleticism required for upper level show jumping competition, Stephanie is looking forward to the much-anticipated 2010 with “Coruscation”, while starting his full sister and brother, “Suspended In Time” and “Bid Time Return”. Stephanie is most proud of the fun, supportive, family atmosphere that is Timeless Farm. You can follow the progress of Stephanie and the Timeless Farm family at www.timelessfarm.com ! Leigh knows Dan is a very special horse. Leigh Mills has spent the last 8 weeks preparing for Ariat Jumping with the Stars! on a very special guy, his name is Dan, aka Stand By Me. His owner, Elizabeth Benkert, was a very special student of mine, the best actually. I started teaching her as a small child and coached her to many championships. She was my prodigy child if there ever was one! Unfortunately, 3 years ago this August, shortly after graduating form high school, we lost her to an accidental drug overdose. Since then we have been continuously brainstorming to try to find the best way in which to honor and memorialize her that is befitting to how special she was, we believe we have finally found it. Liz at her jumper debut in Mason City. Photo by Roger Lohr. Every year, Timeless Farm hosts our Series of Horse Shows which equates to almost one per month, 2010 being the 11th season. This year, we have launched a campaign that will kick off with the first show of our outdoor Summer Series in May. We have just partnered up with “The Partnership for a Drug-Free America” to run an ongoing charity event within our shows. We are building a fence that we plan to unveil at the May 23rd horse show, the “Elizabeth Benkert Memorial Jump For Charity”. Every time this fence is jumped, TF will donate $1 to the Partnership in Liz’s name (will total a minimum of $100/show, could easily double or more with the success of the campaign). It will be ongoing throughout the season, we have plans for a Mini Grand Prix in September, with awesome prizes and money that will add to the pot. Also, we plan to offer for local troubled teens involved in drug rehab programs to attend the shows as “honorary jump crew”. We have created an account at Heartland Credit Union in Liz’s name to encourage individual donations. There is no end to our excitement in creating new ways to promote our cause. Our hope is that, in making sure Liz will always be involved in the show ring she loved so much, in keeping her memory alive every day, we will, in turn, help other families by promoting awareness, support and understanding to prevent future drug related tragedies. So, since then, Dan has become the head honcho school horse, paving the way for new and aspiring equestrian talent. Everyone he teaches is a reflection of Liz, like I said, he’s a very special guy, he has his very own guardian angel! This has been a great way to get the word out for the cause, especially in light of recent drug related tragedies I’ve been seeing on the news lately. I know Liz’s parents would have appreciated improved awareness and assistance, it may have made all the difference. 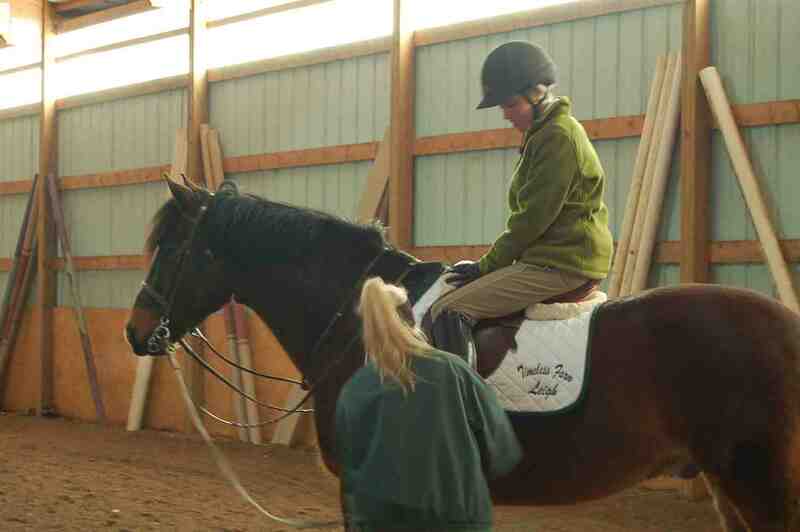 Leigh's first lesson on Dan. What has made this even more special is that, at our first show of our outdoor season May 23, during our ceremonial unveiling of the “Elizabeth Benkert Jump for Charity” fence, instead of a “ribbon cutting”, Leigh Mills will ride Dan for the fence’s first ever jump effort! She also plans to have NBC 15 cover the event. Liz and Dan earning a championship in the jumper ring. Leigh Mills (NBC15) and Stephanie Veloff Histed from Timeless Farm are getting serious. Kylee from American Family Children's Hospital. Kylee Carolfi Malik from American Family Children’s Hospital stopped by Timeless Farm to say hello to Stephanie Veloff Histed and her Ariat Jumping with the Stars! celebrity, Leigh Mills. Don’t forget to donate for your celebrity/trainer team by going to our.uwhealth.org/jumping and use the drop down box to enter your favorite Ariat Jumping with the Stars! celebrity. Leigh brings Dan in from the paddock. Leigh is having a blast. She is hooked and sees herself continuing on with the sport after the Midwest Horse Fair competition. She has learned to groom Dan and get him ready. Stephanie and the Timeless Farm crew are really enjoying Leigh’s enthusiasm. This team wants to win! Robin Ellis (Robin Histed) began his broadcasting career in 1991 on WSUP, Tri-State’s best rock-n-roll, out of Platteville, WI. Hired by WIBA 101.5 in 1992, Robin hosted the alternative music show “Radio Free Madison”. When 92.1 WMAD first signed on the air in 1993, Robin came on board at Madison’s New Rock Alternative Station. Along with his full-time shift as a popular DJ on 92.1 WMAD, Robin hosted the hugely successful Saturday night music show the “Underground Lounge” until 1998. Back in the day, Robin hosted live remotes, introduced big name bands, interviewed famous musicians, and even investigated the death of Kurt Cobain. Since then, Robin has worked on various projects including hosting a television pilot. 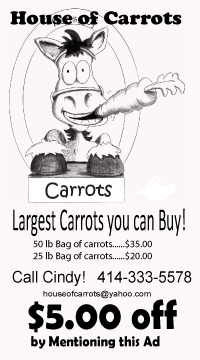 He now works in the Madison area. For the last eleven years Robin has served as the announcer of the Timeless Farm Series of Horse Shows, managed by his wife and Ariat Jumping with the Stars! trainer, Stephanie Veloff Histed. Robin will be in the ring to get the reactions of our Ariat Jumping with the Stars! trainers. Today’s TMJ 4 ‘s George Mallet, will lead the festivities as our mounted Master of Ceremonies and Tammy Lee from 96.3 Star Country will be with the judges for their responses to the rounds. 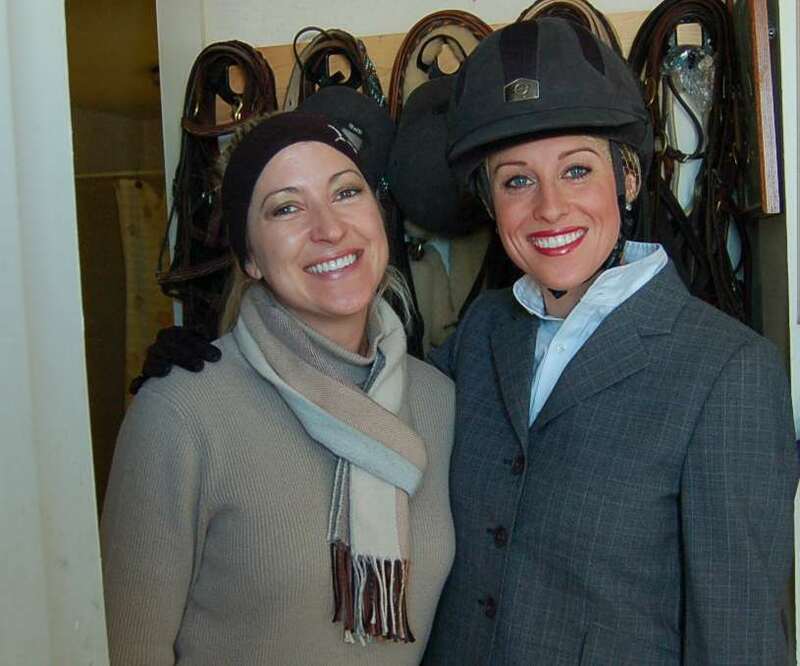 “Do you wear makeup when you ride?” asked Leigh Mills as her coach, Stephanie Veloff Histed, checked the fit of her new Ariat apparel and Troxel helmet. The answer, “Absolutely!” Leigh had arrived well ahead of NBC 15 photographer, Jason, so she could try everything on. All fit perfectly! Then Stephanie presented Leigh a Timeless Farm embroidered jacket with her name on it! When Jason arrived Stephanie showed them around Timeless Farm, pointed out the horses- then they went to get Dan, Leigh’s mount for Ariat Jumping with the Stars! Dan is a very special horse with a story. We promise to share more about Dan in future posts. Leigh asked tons of questions and Stephanie demonstrated the basics of grooming. As Stephanie was helping tack up Dan she surprised Leigh with yet another gift, an embroidered saddle pad with Ariat Jumping with the Stars! on one side and Leigh’s name on the other. How sweet is that?! !